In April/May next year I’ll be tutoring on the Craft Creations Cruise, from Sydney via the South Pacific and Hawaii, to Seattle. I’ve done a couple of cruises with Needlework Tours and Cruises before, as a tutor, and they are always most enjoyable. 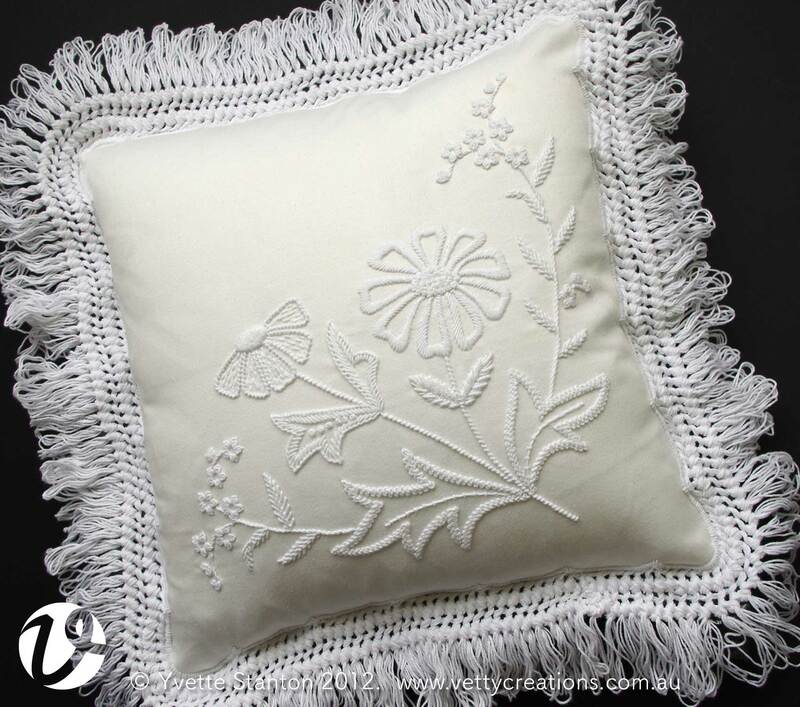 I’ll be teaching three projects: Early Style Hardanger Biscornu, Mountmellick Biscornu and Mountmellick Daisy and Forget-me-not Cushion. The teaching is done on sea days, so that when you’re in port, you get to do all the port activities you could possibly want to do. Embroidering at sea passes the time in a most enjoyable way. People often ask me if the cruise company runs the needlework event. No, it’s run just like a conference or convention on a cruise (rather than at a conventional conference centre), this one just happens to be a needlework one. On my first cruise there was also a genealogy conference on the same cruise. But it’s not just me who will be tutoring. There are 24 tutors teaching various textile crafts including embroidery, patchwork, quilting, felting and beading. 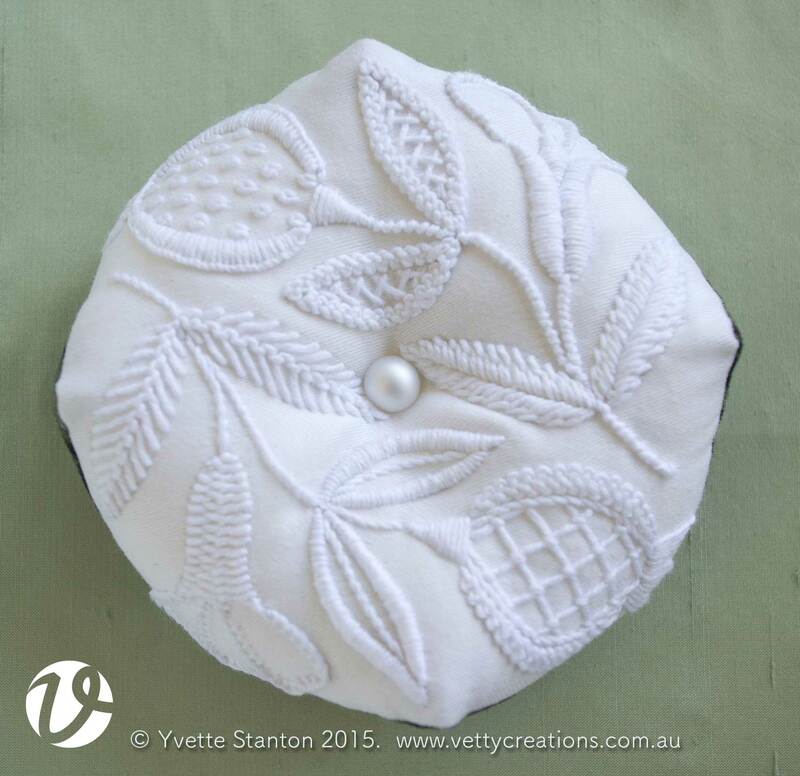 You can see who is teaching and the lovely projects they’re teaching on the Needlework Tours and Cruises website. Because the cruise goes from Sydney to Seattle, it would make an excellent holiday for Australians and New Zealanders with their starting point in Sydney, flying home at the end from the US. For Americans, they could fly to Australia first, then cruise their way home to the US. And people from other countries are of course welcome to join us! If you’d like more information on my classes, I will be putting details up here on the blog in coming days, or you can just ask me. 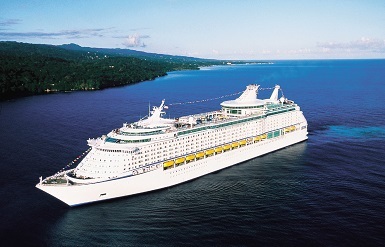 If you’d like more information on the cruise itself, please check out the cruise website. I’d love it if you’d join me! 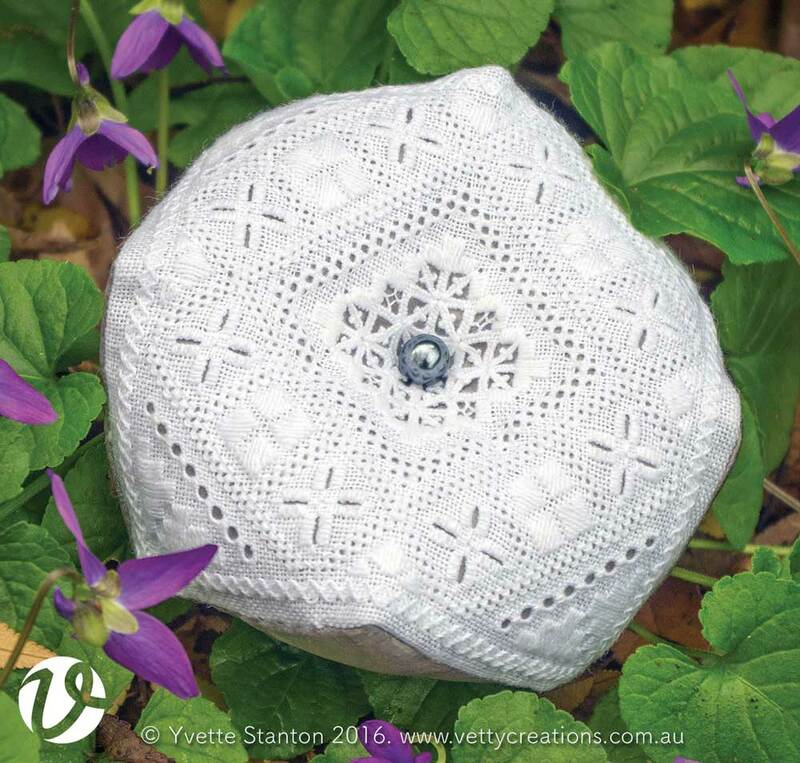 White Threads is the blog of Yvette Stanton, the author, designer, publisher behind Vetty Creations' quality needlework books and embroidery products. 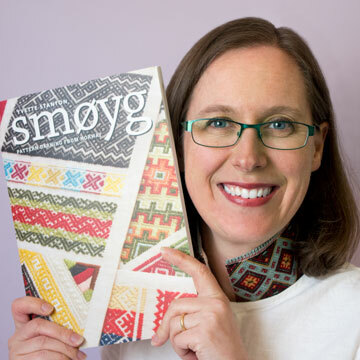 Smøyg: Pattern Darning from Norway by Yvette Stanton. Order your copy today!